Traditional cast iron woks and more modern ones with ceramic coating. Wok 28 cm induction with reinforced coating of stone particles. Soft touch handle compatible oven. Baumstal Wok pan in stainless steel diameter 28 cm, induction compatible, for Asian dishes of vegetables, meat, sautéed fish. 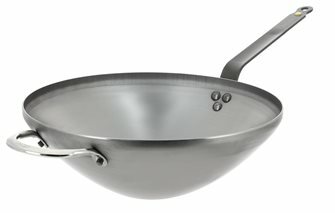 Wok Cataplana Baumstal en inox diamètre 36 cm, compatible induction, pour réaliser des cataplanas portugais. Couvercle, grille et pince inclus. Multi-layer stainless steel wok with 2 32 cm cast iron handles and a 10 cm bottom. 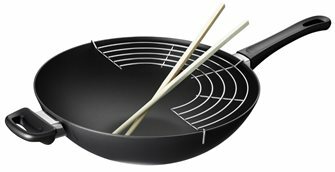 Wok with SCANPAN® Classic 32 cm thick grid and rods in thick aluminum coated with an extremely resistant anti-adhesive. Lifetime warranty. Made in Denmark. 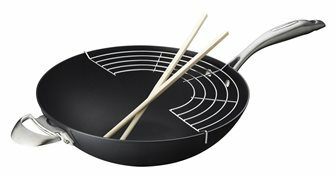 Wok with Pro IQ SCANPAN® grid and sticks 32 cm. Made from thick recycled aluminum with ultra-resistant non-stick coating, stainless steel tail and riveted handle, induction compatible. Lifetime warranty. Made in Denmark. Wok 32 cm steel bi-element, ideal for a natural and dietary cuisine that requires little fat and respects the original flavors of food. 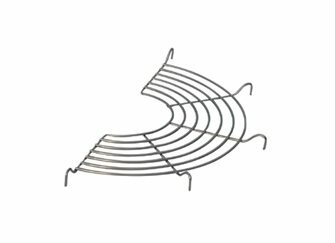 Semi-circle grill 32 cm for wok in stainless steel. 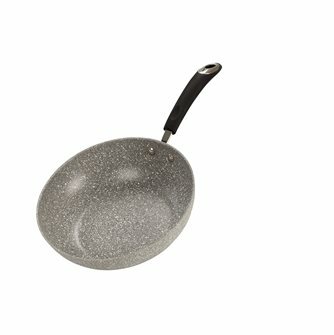 Wok 28 cm steel bi-element, ideal for a natural and dietary cuisine that requires little fat and respects the original flavors of food. 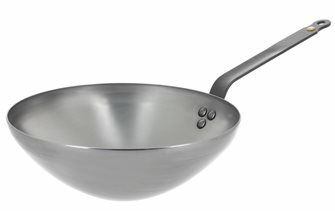 Wok 24 cm steel bi-element, ideal for a natural and dietary cuisine that requires little fat and respects the original flavors of food. 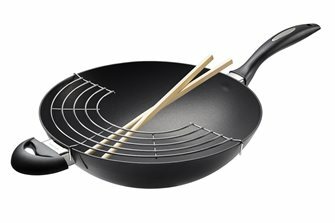 Wok with IQ SCANPAN® grid and sticks 32 cm. Made from thick recycled aluminum with ultra-resistant non-stick coating, stainless steel tail and riveted handle, induction compatible. Lifetime warranty. Made in Denmark.